Our employees love animals as much as you do. Read more about our humans and why they’ll be a great fit for your pets. We offer a full range of services to keep your pets happy and healthy. From dog walks to pet sitting, we’ll be there to help with your busy schedule. 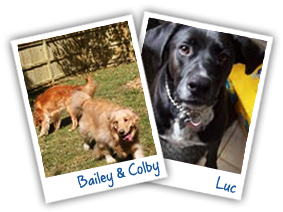 Get in touch and find out what so many people already have – your pets will love Pet Partners! Get to know the Pet Partners’ Dogs in this photo gallery. Your dog will fit right in and be having a great time in no time. Your cat would call us, but that’s what they have you for! Check out the photos of them relaxing in style. We’re looking after your family, so we make sure your pets get the same love, care, affection and all around good time they get at home. Sherry and her Pet Partners’ walkers are more than partners. They really are my Irish Setter’s friends. He looks forward to his strolls and from the time he was a pup, Sherry and her walkers have been true partners with me in raising Joe to be a friendly and well-mannered (not genteel, after all he is Irish) dog. I can relax when my dog is being cared for by Pet Partners. I know that he is in a safe, fun and stimulating environment where he receives love and good care.